Goldilocks knew what she wanted when it came to porridge – not too hot or too cold but just right. The same ‘just right’ principle can be applied to accessorizing. Once you understand how these three elements impact your outfits you’ll not only find accessorizing easier, you’ll also start to realize it is possible to bend the rules i.e., wear a large scaled item if you are petite or have a small frame. This refers to not only how large the accessory is but how well it coordinates with your personal scale. When it comes to the female form there are 3 main scales: small, medium and large. Knowing which one you are will help when selecting the best scale for your accessories. Women considered small scale are usually short to medium height, have small features and are underweight to slightly overweight. Medium scaled women can be any height and are commonly between slightly underweight and moderately overweight. Large-scaled women are usually medium-tall to tall, larger than most women in build and are between slightly underweight and moderately overweight. 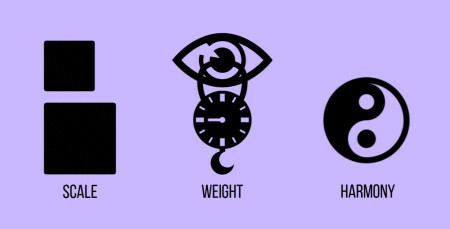 Accessories can also be assigned a scale: small, medium-small, medium, medium-large and large. When you work with scales that flatter your frame the look is harmonious and you remain the main focus. The best results from you wearing the accessory, not it wearing you. You can use the following guidelines to coordinate accessories, hairstyles and prints to your personal scale. under 5’4″ / 162.5 cms and have a small frame wear small to medium accessories. 5’4″ to 5’8″ / 162.5 to 173 cms and have a small frame wear small to medium-large accessories. over 5’8″ / 173 cms and have a small frame, medium-small to medium-large scale accessories will suit you best. 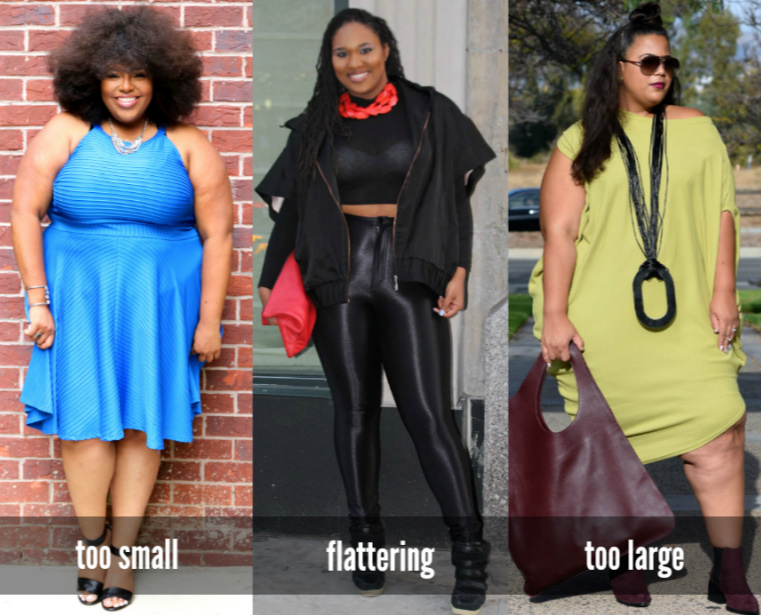 over 5’8″ / 173 cms, have a medium frame and are slightly under to slightly overweight you can wear any scale of accessory. under 5’8″ / 173 cms and moderately to very underweight you are best with small to medium sized accessories. 5’4 to 5’8″/ 162.5 to 173 cms, have a medium frame and are slightly under to slightly overweight small to medium-large scale accessories are the way to go. If you have a large frame and are more than moderately overweight, select medium to medium-large accessories. 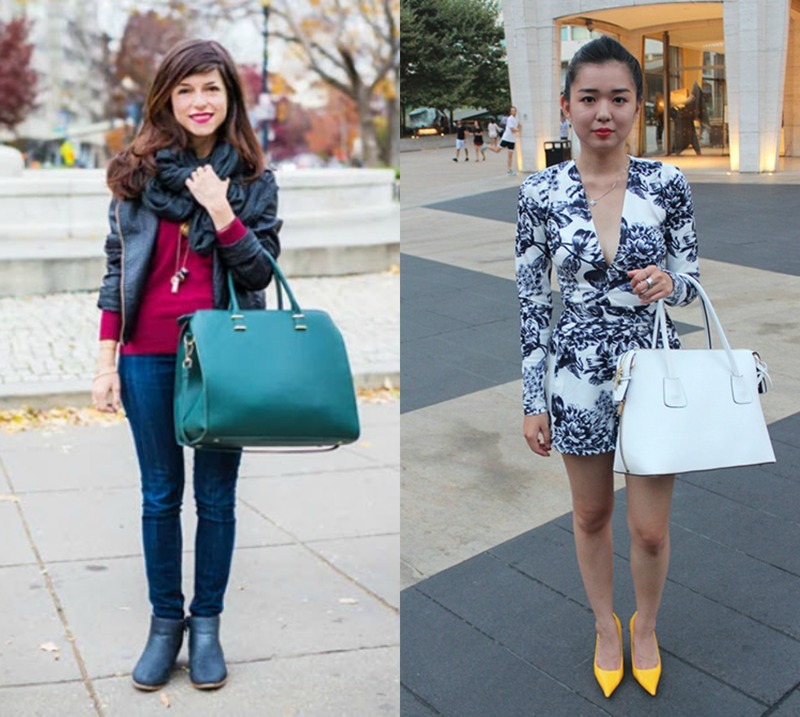 An accessory should be in sync with the weight of an outfit – not the actual weight but the visual weight. 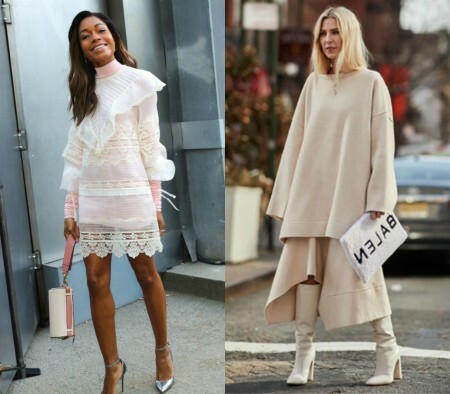 How heavy an outfit or accessory appears to be is often a result of a combination of factors such as its colour, material, surface and opacity. Two objects of the same shape and actual weight may appear to be lighter or heavier than each other. 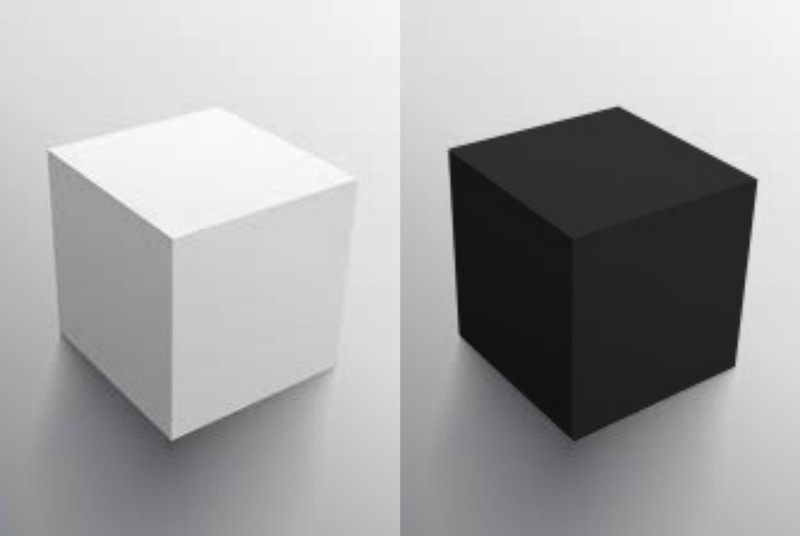 Take these two boxes, for example, if I asked you which one appears to be the heavier, you’d probably say the darker one. Light colours have the lease visual weight while dark colours appear to weigh more. Look at these floral dresses. The lighter one is not just light in colour but also in fabric; coordinating accessories in a similar weight creates balance. Likewise, the navy floral dress is made of a thicker fabric and when teamed with dark jeans works beautifully with flat suede mules. The surface of an accessory can be matte (reflects no light), have some sheen (reflects some light) or be shiny (highly reflective). The more matt the item the greater its perceived visual weight. When coordinating accessories you can leverage its reflectivity. For example, a large-scale item that is light in colour and/or has a reflective surface will coordinate and harmonize more easily on a person with a small frame. 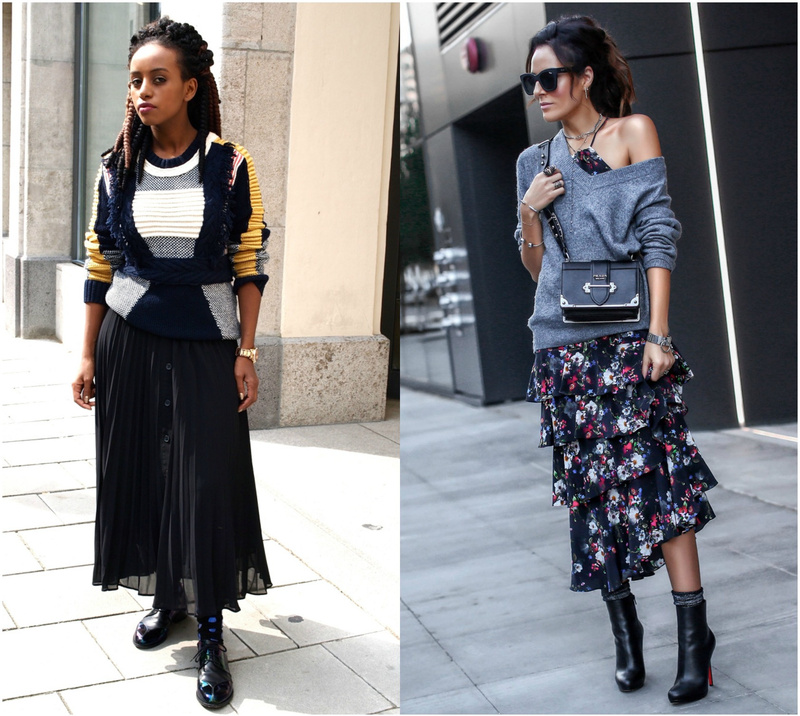 In the left-hand photo below the flat lace-ups harmonize with her bulky sweater while the patent leather lifts and lightens the shoe to better balance with her gauzy skirt. 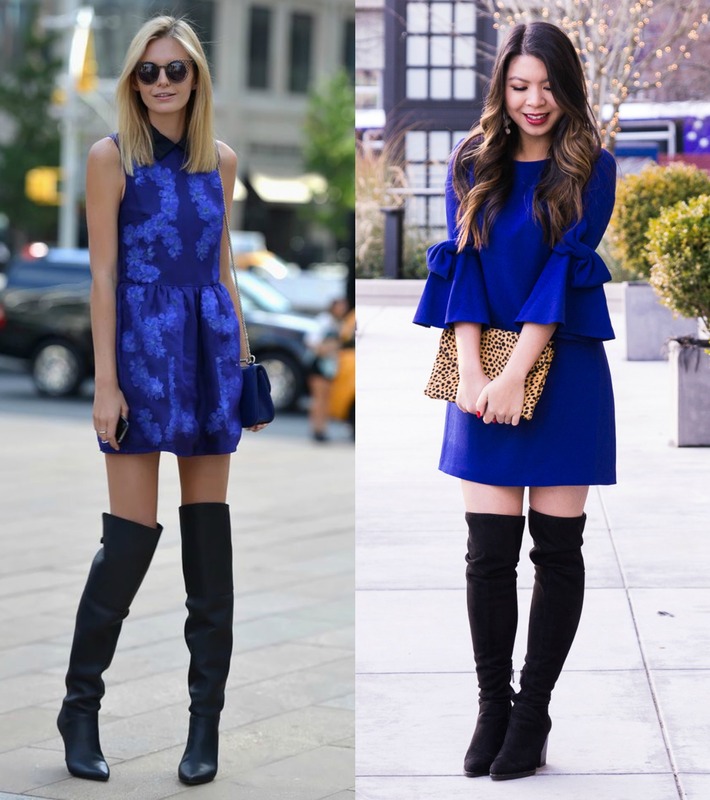 In the right-hand photo the dark, polished stiletto boots pair perfectly with this trans-seasonal outfit giving the ‘just-right’ visual weight. Most matt surfaced pumps/court shoes can look very heavy in summer while a polished surface is better and patent leather will totally lift and lighten the look. This is how solid/dense or transparent an item is. 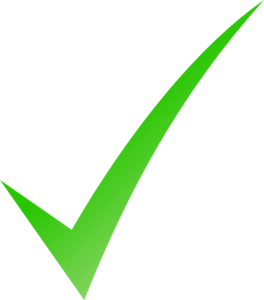 Similar to ‘surface’, the more opaque the item, the heavier it will appear to be. 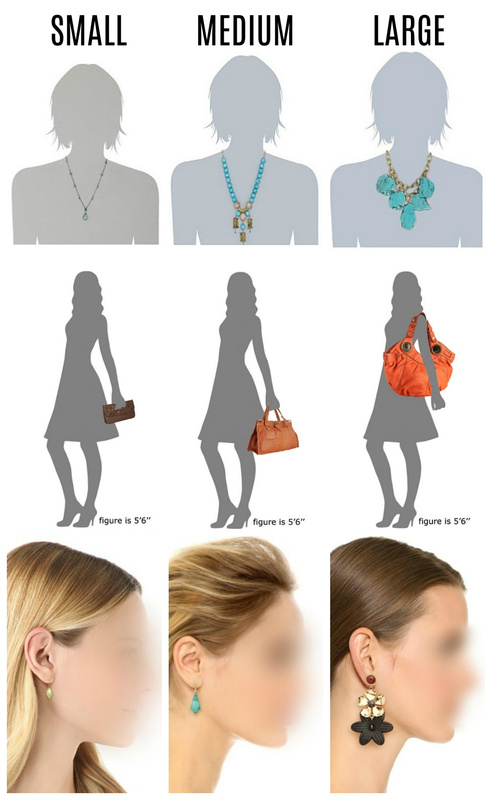 In the photos below you can see how opacity affects the visual weight and scale of a necklace. 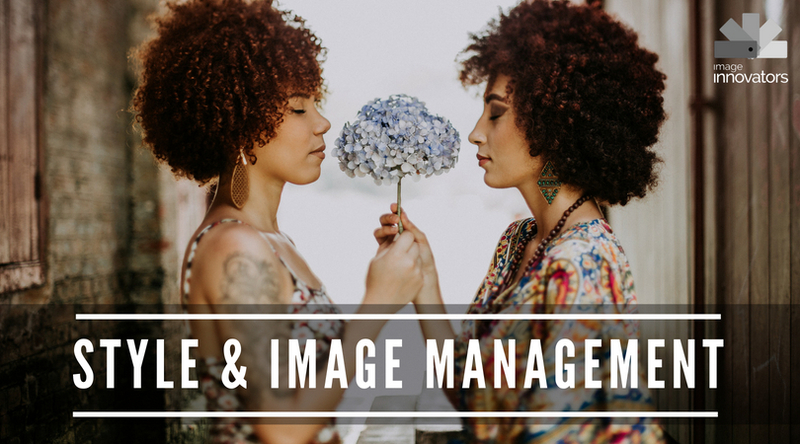 Click here for more on visual weight. 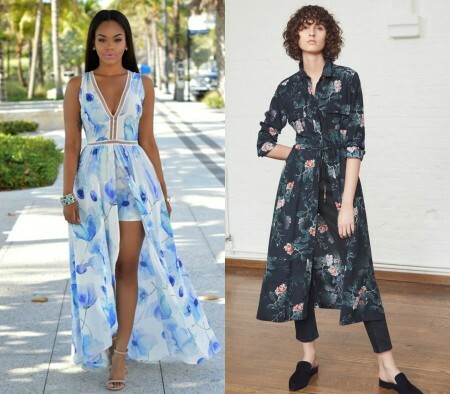 Likewise with fabric; the following two light coloured outfits have different fabric density and design weight and as a result are most complemented by like weighted t accessories. Light with light, heavy with heavy. Whereas the blue outfit on the right is better balanced than the one on the left. The lightness of the fabric, the amount of skin exposed and her slight figure all serve to make her over-knee boots appear a tad to heavy for the outfit. One of the keys to accessorizing is knowing how to pair the shape of accessories to that of the outfit or body part that it is position near to. This is particularly important with necklaces, earrings, hats, handbags and prints. If the edge is ruffled, embellished or asymmetrical opt for statement earrings with a shape and colour that echoes the dominate design line and go without a necklace. If the neckline edge or collar is simple you have more coordination options. Follow it’s shape if you are not sure. 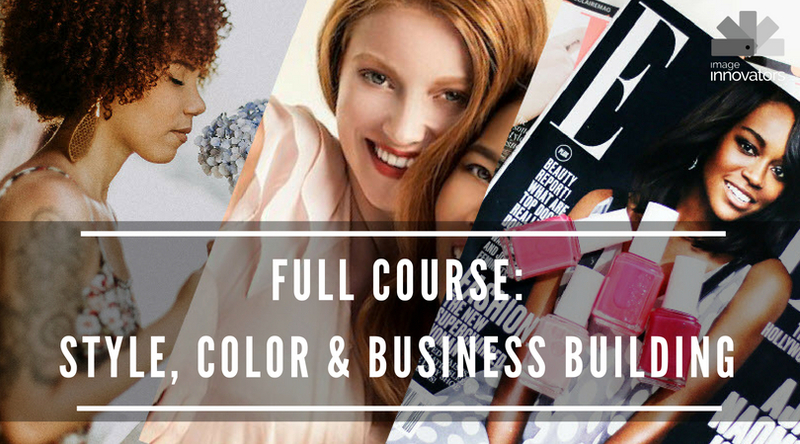 To discover all the necklaces and earrings that suit you along with every other item you wear I suggest purchasing a personal style program from My Private Stylist. 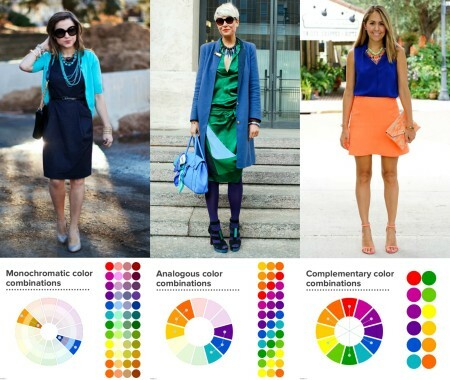 There are so many ways to work with colour in a pleasing way. The easy and most effective choices are: add a metal of the same undertone, a neutral, complementary or analogous colour. When it comes to prints near your face consider how busy they are, their size, how bright or dull it is and the dominant design line. 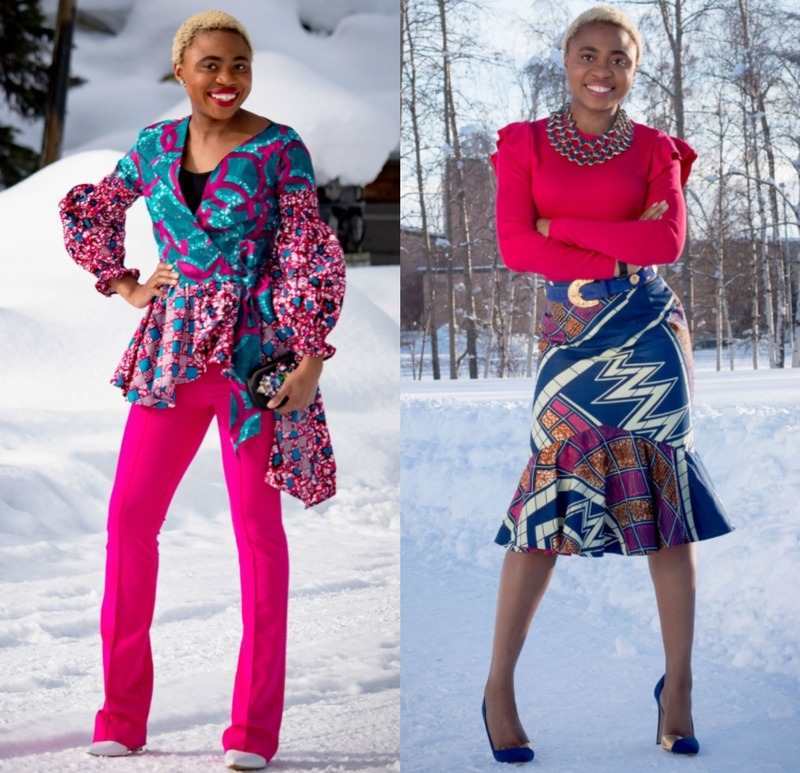 If the print is busy or bright (left-hand photo below) opt for medium-small to medium-large understated earrings, a large but relatively simple ring and no necklace. 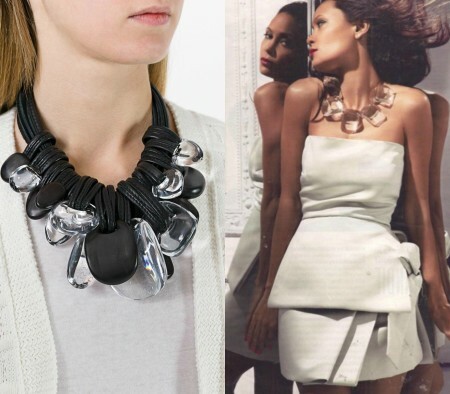 If the print is busy or large and away from your face select a statement necklace or earrings for balance. If the print is large but not busy opt for either medium to medium-large understated earrings or necklace which have similar design lines and/or a related colour. What happens if you are under 5’4 and are slightly overweight but with a large bone structure and an inverted V shape? To be both under 5’4″ and have a large bone structure is pretty rare. I would suggest you go with medium-small to medium accessories and prints. Also, if your inverted V shape is because you have a full bust I suggest you also avoid wearing long pendants that may bounce on your chest as you walk.